You must file tax returns for missed years manually. If you forgot to file your taxes for a particular year, try to file the missed year's tax return as soon as possible to reduce your penalties and interest. You cannot use the IRS's electronic filing system to file returns for past tax years. Instead, you must file these returns manually because the IRS reviews them manually. Use a pen with blue or black ink and write as clearly as possible. Make sure you have backup for any deductions you claim as manual reviews are more likely to trigger an audit. Download and print the tax forms and instructions you need from the IRS website. Make sure you select the correct year because the tax tables, exemptions and standard deductions change from year to year. Enter your contact information, filing status, dependents, income, deductions and exemptions on the forms according to the IRS instructions. Look up the tax tables in the instruction booklet to calculate your taxes due. Sign and date the bottom of your tax return. If you paid an accountant or other professional to assist you in preparing the return, he must also sign and date the bottom of the form. Make a copy of the tax return for your files. Detach the IRS copy of your 1099s, W-2s or any other attachments you are required to file with your return. Mail the original tax return and the attachments to the local IRS office listed in the instruction booklet. You will be subject to penalties and interest for any taxes due. 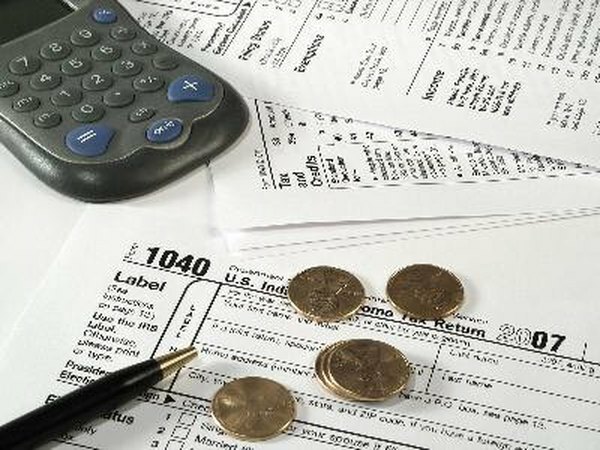 You may not receive a refund of overpaid taxes if you are filing a return that is more than three years past due.